Zhong Xu, Ph.D. in economics, research fellow and doctoral adviser, is the Director General, Research Bureau of the People's Bank of China. Dr. Xu is also Secretary General of China Society for Finance and Banking, and the editor in chief of Financial Research. Prior to his current position, Dr. Xu has served in various positions in the PBoC over the past 20 years in policy-making and financial reform, including Research Institute, Financial Stability Department and Financial Market Department. Besides, he was the Mission Chief in 2016 for establishing the Shanghai Commercial Paper Exchange Corporation Ltd. Dr. Xu has sound academic capacity. He is the winner of Sun Yefang Financial Innovation Thesis Award 2015 and one of the founders of Chinese Financial Forum (CFF), China Finance 40 (CF40) member. 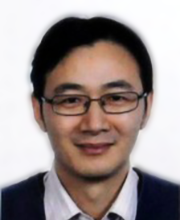 Dr. XU Zhong has published a series of books and over 100 theses in Economic Research,Quarterly Journal of Economics, Financial Research, World Economy, World Development, and other top Chinese and international academic journals.